I never wanted to be a writer when I grew up. That is to say, it didn’t occur to me that writing was a “real” job, much less one that I would be capable of, or derive enjoyment from, my talents and skills at that time lying more in maths and singing the books of the Bible off by heart. And yet I devoured books, I lived in books, I was lost in books. If the weather was bad, I didn’t grumble, just sat in my cushion fort with a batch of Enid Blytons. If it was sunny, I took them into a den in the garden (my idea of the “Great Outdoors” is still limited to somewhere I can read comfortably). Because, while my peers were dreaming of growing up to be a ballerina, or a footballer, or the first female Prime Minister (oh, she’d have been so much better than the one we got), all I wanted was to be IN a book. 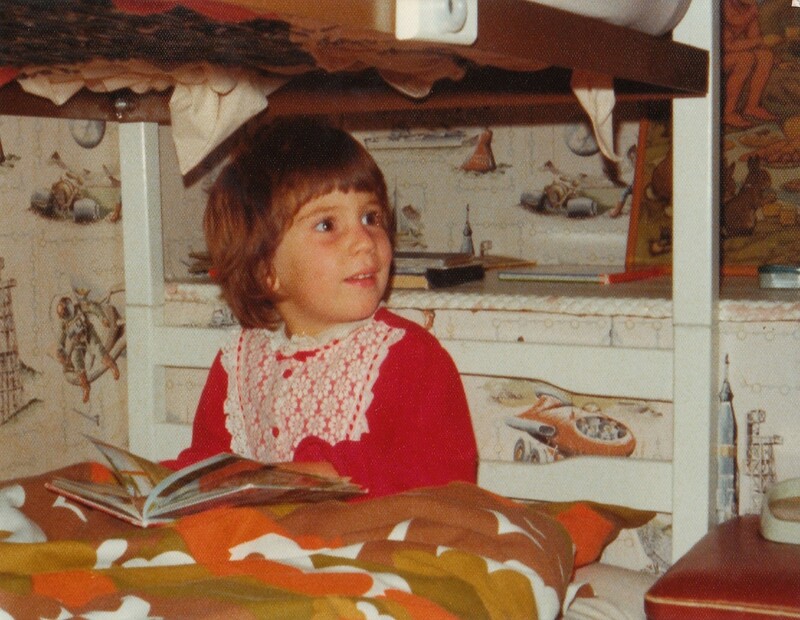 I wanted to be Heidi – tending goats all day and sleeping in a hay loft at night. And, of course, nobly helping the crippled Clara to walk again. 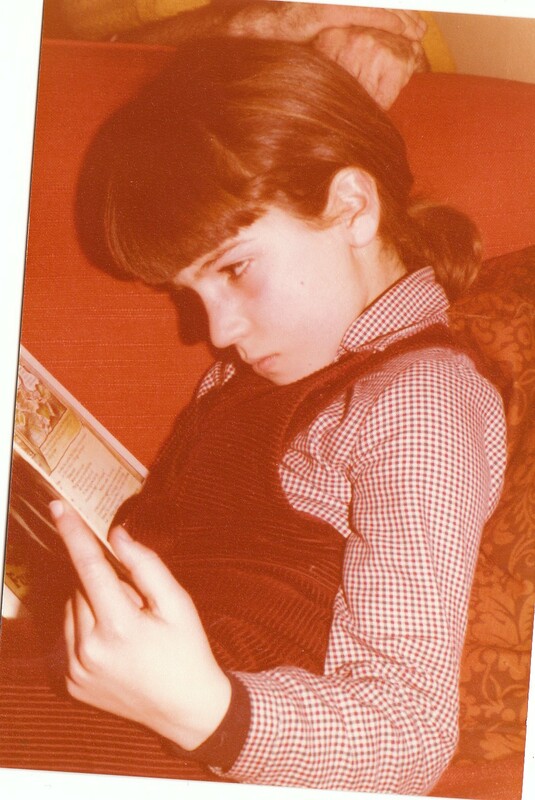 I wanted to be George in the Famous Five, solving adventures that no grown-up could possibly fathom, and drinking a lot of lemonade while I did it (banned in our house – my grandfather was a dentist). Then I wanted to be pretty much anyone in the Pony Club series by one of the Pullein-Thompson sisters (kind of like the Brontes of the home counties, only with fewer wild moors and tuberculosis, and rather more plaits and gymkhanas and petty jealousy over who has the best curry comb). Partly this was aspirational. The lives of these girls were far more exciting than my own small-town Essex upbringing. And partly because I thought I WAS these girls. I could see bits of myself in all of them: moodiness, the feeling of being the outsider, but still the heroine of the piece. After I outgrew Enid Blyton, I moved on to films. I wanted to be Velvet Brown, winning the Grand National disguised as a boy. Or Andy in Pretty in Pink, falling for the boy on literally the wrong side of the tracks and winning him over with her brilliant vintage dress sense. Or Baby in Dirty Dancing, who got to save the world (or at least join the Peace Corps) AND do the lift with Patrick Swayze sweating in a vest. Note, I didn’t want to be Elizabeth Taylor, or Molly Ringwald, or Jennifer Grey. Well, I wouldn’t have minded. But what I really wanted was to be the characters they were playing. As I grew up, towards an age where a job become a reality, this feeling – this need to live through fiction – grew rather than lessened. When I applied to study drama, it was because I had read and reread The Swish of the Curtain. Somehow I thought this would be my all-access pass to coolness. Only to discover I would spend most of my time pretending to be an unconvincing toaster. And that, as a graduate, I wouldn’t be at the RSC assisting Trevor Nunn, I would be working for pittance from a backroom in Kings Cross sending out press releases to theatres in places like Wolverhampton or Colchester. Then I worked in television news, imagining, I guess, I would become Kate Adie or even Jeremy Paxman. Only I spent rather too much time making tea for B-listers and not a huge deal of it writing groundbreaking news reports or interviewing despots. Then I went into politics. Which, for once was kind of a sensible career choice for a book geek. Having come from a background in TV and radio, I was, for the first time in my life, considered quirky and vaguely cool. I was the go-to girl if any ministers needed briefing on music, or E4. Yet that wasn’t enough. Because I’m sitting there in the basement of No 10 – which for a lot of people is an impossibly exciting and glamourous place to be. Only the thing is, it really isn’t. Because I’m supposed to be writing three hundred words on why ID cards are really, no honestly, a great idea. But instead, I’m staring out of the window into the ornamental gardens, imagining that, at any minute, the phone is going to ring, and I’m going to get dispatched to the Middle East as an observer for the peace talks. Whereupon fate will intervene and my convoy will be attacked by insurgents, trapping me under a Land Rover. From where I will be airlifted to an army hospital in Germany, and will be languishing in a coma when the gorgeous Deputy Chief of Staff flies across the world to finally profess his dying love for me after years of will they, won’t they intrigue (I had moved on the West Wing by then). And I guess that’s when I worked it out. That I had spent so long immersed in stories, that, when life turned out not to be exactly like it is in books or films, I was perpetually disappointed. I wanted a Hollywood ending. On a daily basis. And so I figured, given the huge swathes of time given over to daydreaming, it might just be possible that, instead of waiting for the cliffhanger, or the movie kiss, I could write my own. I’d certainly be happier, because that way I’d get to spend all day in someone else’s head, and in someone else’s world, living in their adventures, and giving them happy endings. So why write a series based on my own, uneventful childhood? Well, this way, I get to give my alter ego – the girl who can’t always tell fact from fiction, who lives in hope of becoming Sylvia Plath – a little more drama, a lot more kissing, and maybe, even, the happy ending I was always holding out for. 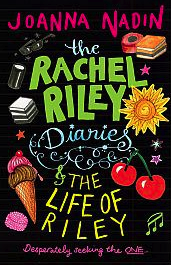 This entry was posted in Blog, Reading, Teen and tagged Dirty Dancing, Enid Blyton, Famous Five, Fiction, Heidi, Joanna Nadin, My So-Called Life, Rachel Riley, writing. Bookmark the permalink. I LOVE this post. You are simply genius.